I welcome you all to the three-day blogging marathon. This week’s theme is easy vegetarian sides. 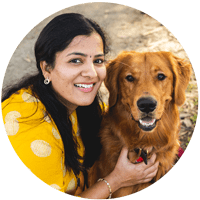 I am starting it off with our favorite okra stir fry with peanuts, to pair up with the Instant Pot Sambar. 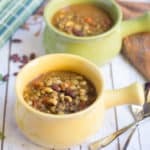 So what’s special about this recipe? Usually, if I add coconut to my Poriyal, I don’t add shallots and vice versa. But for this, I included both. 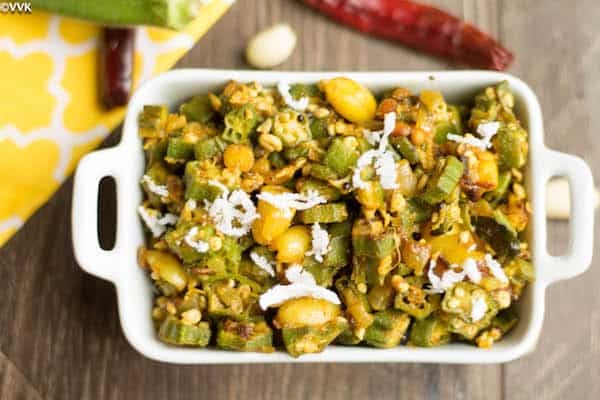 Shallots + okra + coconut + peanuts spiced with sambar powder, it can’t go wrong huh? 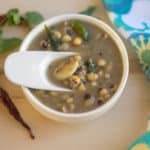 Here is a perfect dry curry for your sambar rice or rasam rice. I have already posted the simple dry okra curry without onion or coconut but with besan. You might ask why I am posting a similar curry again. The answer is because it is kiddo’s favorite. 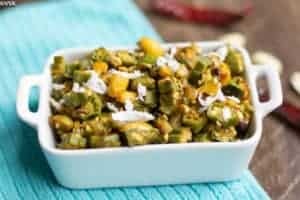 One fine day when I was planning to prepare okra curry, I saw that I had 5 shallots in my pantry and handful of grated coconut. I decided to add both to the okra curry to see how it is. Also, that’s when Sharmila posted okra curry with peanuts. 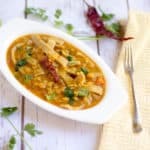 That intrigued me and I thought of adding all that day and more than I and M, kiddo liked this curry very much (especially peanuts) and from that point on, this has become staple and I started to add peanuts in all my dry curries. Given the background, doesn’t this need to be documented in my blog space? Last November, one of the BM themes was “Thali”. But I couldn’t participate that month and oh boy I regretted so much especially for missing that theme. So when I saw this vegetarian side as this month’s theme, I thought of taking it one step further and to make it as a mini thali post. 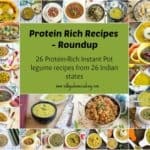 That’s the main reason for posting back to back instant pot recipes for the past three days from today, I will be posting two recipes per day, one the vegetarian side and the other post is the mini thali post. Chop the okra into small pieces. Chop the shallots into small pieces. In heavy bottom pan or kadai, heat the oil. Once the oil is hot, add the mustard seeds, urad dal, channa dal, and hing. As the mustard seeds start to splutter, add the curry leaves and chopped shallots. Cook until the onion turns translucent. Then add the peanuts and turmeric powder and saute for a couple of minutes. Now add the chopped okra, sambar powder, and salt. Mix them well and let it cook for 5 minutes over medium heat. I usually do not cover and cook okra. I keep the kadai open and kept stirring them for every 2 minutes. After 5 minutes, the okra will be gooey. Add this stage add the yogurt. The yogurt removes the stickiness from okra. But when you add it initially, the okra will become more sticky but slowly the stickiness wears away. After adding yogurt, cook again for 5 to 6 minutes until the stickiness is gone. Now add two more tsp of oil and cook for a couple of minutes in medium heat or let it roast for about 5 minutes over low heat until the crust forms. Finally, add the grated coconut and mix well. Let it cook for a minute and turn off the heat. It took me a total of 15 minutes. That’s it. Okra curry is ready. Instead of shallots, regular onion can be used. Also, there is no set measure for peanut and coconut. You can add as per your preference. Coconut can be skipped too. Adding yogurt is to remove the stickiness from okra. Instead, besan and fine sooji can be used too. 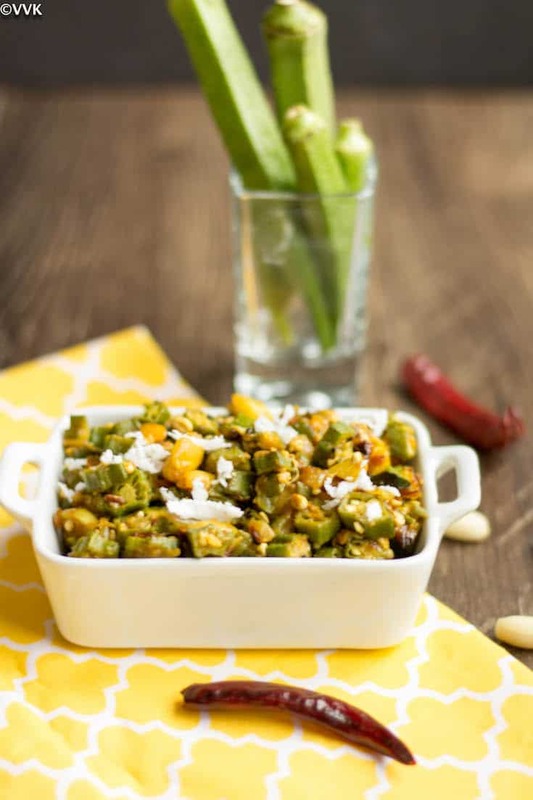 Before adding coconut, you can let the okra to form the brown crust by cooking over low heat for 5 to 6 minutes. Adjust the salt and spice as per your preference. A simple okra and peanut stir fry with the hint of shallots and coconut. That's it. Okra curry is ready. What a different side dish with okra. 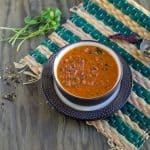 I am tired of making just the regular curry. This would be loved by everyone in my house. That’s a delicious curry with okra Vidhya. Pinned to try very soon. Mmm sounds yum. Will love to try it. I have given up adding peanuts to anything these days as it gives us a slight acidity. oh no… sorry to hear that. But peanuts are optional only. 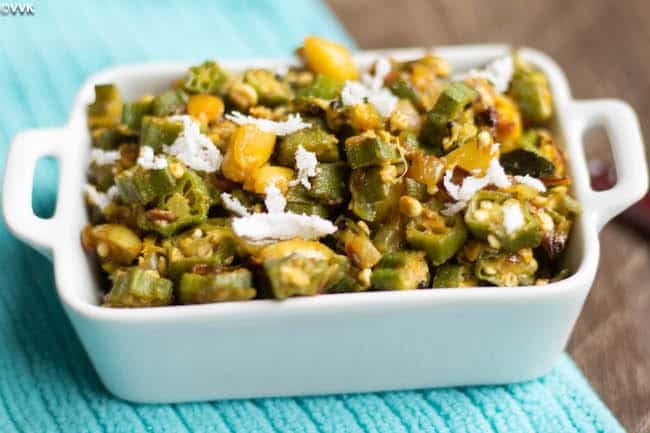 Interesting idea to add peanut in Okra poriyal. It must give nice crunchiness to the slimy okra. Thanks you so much Sri for trying it out!! and so glad you liked it!! :-) Thanks Sharmila for the wonderful idea. Oh though we add peanut to every other veggie, never added to okra, also we add powder in the end..this is new..must try! Thanks to Sharmila. Got the idea from her. It blends very well Valli. Please do try it.